As the 2019 season approaches the staff at Rubbings Racing will be sharing their predictions for each of the top-three series. We will all provide our staff picks for who makes the playoffs, and who we think will win the playoffs this season. Let’s kick it off with the NASCAR Gander Outdoor Truck Series. Brett Moffitt: While Moffitt is with a new team in GMS Racing for his 2019 campaign, I look for him to continue right where he left off after winning the 2018 Truck Championship. Moffitt had an outstanding 2018 season with 6 wins, 13-top 5’s, and 13 top-10’s in 23 starts. Daytona wasn’t too kind to Moffitt last February after a crash left with him a disappointing 26th place finish but the following race at Atlanta he found victory lane. I look for him to have a very strong season and be a serious threat in the playoffs. Grant Enfinger: Enfinger returns to Thorsport Motorsports for the 2019 season and I look for him to have another consistent season. Enfinger had 1 win at Las Vegas last season to go along with 7 top-5’s and 15 top-10 finishes. He may have finished fifth in the points last season, but I definitely see him making the playoffs once again. Todd Gilliland: Gilliland will embark on his second season with Kyle Busch Motorsports, with 2019 being his first full-time season in the NGOTS. Gilliland competed in 19 of 23 races last season and had 4 top-5’s and 9 top-10 finishes. While he didn’t capture his first win in the truck series, he came close with a second-place finish at Gateway. In 2019 I look for him to not only win at least twice but make the playoffs as well. Harrison Burton: Burton will also be racing for Kyle Busch Motorsports full-time in 2019. The 18-year old competed in 8 of 23 races last season and had 3 top-5’s, and 6 top-10 finishes. He came close to winning at both Iowa and Phoenix where he finished third in both races. I look for Burton, like his teammate Gilliland to not only make the playoffs but win at least two races as well. Matt Crafton: There is no doubt in my mind that we see Crafton make the playoffs in 2019. While he went winless last season for the first time since 2012, I don’t see that happening in back-to-back seasons. Crafton is a past Champion in the series and will be a serious contender yet again when the playoffs roll around. Last season he had 7 top-5’s, and 13 top-10 finishes with a season best finish of second at Dover in the Spring. Spencer Boyd: Boyd will race full-time in the Truck Series after spending last season running the full schedule in the NASCAR Xfinity Series. The 23-year old will pilot the No. 20 for Youngs Motorsports and I look for him to surprise everyone and make the playoffs. While he hasn’t race in the series since 2017 his last finish in a truck race at Talladega ended with a 13th place result. Jordan Anderson: This is another NGOTS driver that I believe will surprise everyone in 2019. Anderson is coming off his first full-time season as both a driver and an owner in the No. 3 for Jordan Anderson Racing. Anderson finished last season ranked 15th in the standings with 2 top-10’s (Daytona & Talladega), 3 top-15’s and 13 top-20 finishes in 23 starts. While he’ll continue to learn more and more each race, I look for Anderson to improve in every category, points included (playoff maker) and he could certainly surprise everyone and capture a win, especially at the plate tracks. Stewart Friesen: Friesen has come so close to capturing his first NGOTS victory and I look for him to capture it in 2019, as well as make the playoffs again. In 2018 he earned 9 top-5’s, and 16 top-10 finishes. He had a season best finish of second on three separate occasions (Texas, Kentucky and Bristol). Friesen is sure to be a threat for not only wins but the title later in the season. Who Wins it All: I have to go with Matt Crafton, while I think any of the drivers, I’ve chosen could surprise us all, Crafton has so much experience in the series and in the playoffs. As I previously stated I don’t see him going back-to-back seasons without winning. Crafton’s worst points finish since 2013 was last year’s rank of sixth. He won back-to-back Championships in 2013 and 2014 and then proceeded to finish third, second, fourth and sixth in the points. He’s come close to winning a third NGOTS Championship and I look for it to happen in 2019. Who do I think will give Crafton a run for his money come Championship time? Moffitt. I think Brett Moffitt will be a serious threat to win back-to-back Championships even being with a new team, he has shown he can win multiple races in the series and contend for wins week in and week out. My first five picks are ones that have already been mentioned; Todd Gilliland, Harrison Burton, Stewart Friesen, Brett Moffitt and Matt Crafton. I would put them down as close to “locks” to make the Round of 8 as you can get. Two former champions in Moffitt and Crafton, two future stars in the works Toyota team, and the ever-improving Friesen who has shown he could have a few wins under his belt if not for a stroke or two more of luck. My first original prediction will be Austin Hill, driving the #16 Hattori Enterprises Toyota. Ever since their re-inception a few years ago with Ryan Truex, they have been perennial front runners, always over achieving compared to their competitors. It could be said that Hill was of the same style, but as a driver. While only sporting an average finish in 2018 of 16th, with a best of 5th, in his case it’s not always where you finish. He was, on a consistent basis, running in the top 10-12 throughout many races, only to have circumstances not fall his way. While Young’s Motorsport have made large gains in their program during the past few years, this move can be considered a move up the ladder. Put an overachieving team with a driver capable of overachieving, and that sounds like a recipe for success. My next pick is that of Johnny Sauter, who made an 11th hour announcement during the making of this writing that he would be returning to Thorsport, to compete in their #13 Toyota. Sauter scored 10 of his career Truck victories with Thorsport, and gave them many good runs during his time there before moving to GMS. Thorsport should expect even more improvement in year two of running the Ford, and now with the re-addition of one of the most experienced drivers in the field, this will be quite a year for both team and driver. My last pick is another one not quite from left field, but certainly shifted in that direction; Sheldon Creed, driving the #2 Chevy for GMS. At only 21, Creed already has quite the diversified driving resume that includes a start in the Dakar Rally, as well as victories in the Trans-Am series, Robby Gordon’s Super Stadium Truck series and the ARCA series; the latter two of which he has an overall championship from as well. In his seven career Truck series starts, while he only has a 17th average finish, his best two finishes-10th and 5th– came in his last two starts of 2018. He had a few races to acclimate with his new team, and should be riding the very coattails of his momentum from 2018 into this new season. As for who I feel will take the overall championship, I feel it’s going to once again come down to Brett Moffitt and Johnny Sauter. While Johnny will most certainly have extra motivation to beat Moffitt, I just do not see it happening now that Moffitt has some of the best equipment and engineering in the field available to him. My pick for 2019 NGOTS champion is: Brett Moffitt. It’s hard not to agree with the names that Sarah and Damin put forth such as Burton, Crafton, Enfinger, Friesen, Gilliland, Moffitt and Sauter. I believe that five of those seven will get in with a win and the other two on points. Friesen gets the monkey off his back and visits victory lane while Burton and Enfinger makes the Playoffs on points. 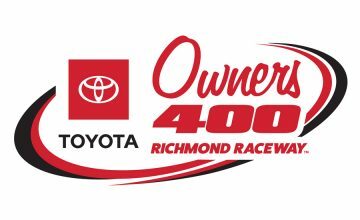 If certain drivers such as Ben Rhodes and Myatt Snider were racing full-time in 2019, I’d have them both in my 8-driver playoff field, but with them running only a part-time schedule, they are not eligible for the playoffs. Rhodes and Snider will be piloting ThorSport Racing machines that have been very competitive over the year. The driver that I think will make the playoffs that hasn’t been said yet is Brennan Poole. Poole will strap into the No. 30 entry for On Point Motorsports, a team mostly known in the Menards ARCA Series, but that doesn’t mean you can count Poole out. Despite not winning in either the NASCAR Xfinity or Truck Series in 83 races, Poole will make the playoffs, and maybe even sneak into the Round of 6, I don’t think he’ll be one of the Championship 4. As for my 2019 NGOTS Champion, I’m going out on a limb here and say that Friesen will be the champion at the end of the race in Homestead. In just 48 truck series starts, he has 11 top-five and 21 top-ten finishes. Not only does he win a race in 2019, but he’ll be the champion. It’s hard to deviate from what y’all have already said. These seven drivers are known winners, and it wouldn’t stretch the imagination to picture any of them as the 2019 NGOTS champion. Burton just won his first ever race at Daytona International Speedway in the opening race of the Menards ARCA Series 2019 season. It seems like he’s been riding a hot streak for the entirety of his young but ascending career. He could just as likely win Friday’s NextEra 250 at DIS as he could at race at Martinsville. 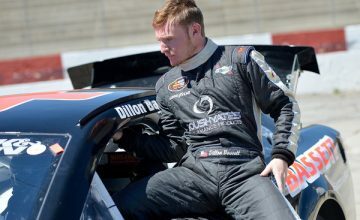 Jeff Burton’s son is ready for the limelight of NASCAR’s national series. Crafton is the elder statesmen that you can’t bet against. He’s raced in 19 of the 25 seasons NGOTS has run. If there’s a link to the days gone by — you know, the ones that fans have been romancing over ever since high definition television became a thing — Crafton is it. As a general rule of thumb, don’t count out Enfinger. He won the 2015 Menards ARCA Series championship and has a pair of NGOTS wins to his name. The 34-year-old has loads of talent, it’s surprising he hasn’t show more of it since arriving in this series. Friesen is due for a win, or five. It really feels like one or two good breaks could push Friesen’s team into a position to race for the championship. He could win at Bristol Motor Speedway and he could win on a fast 1.5 miler, he just needs to actually do it. Moffit, the reigning champion has proven his talent. He may be with a new team but I think he’s in a safer position — career-wise — than he may have even been. The stability and organizational structure he’ll find in GMS is something he hasn’t been a part of in years. I’m expecting to see an emboldened Moffit at the track this year. After losing his ride to Moffit, Sauter is back with his old team, ThorSport Racing. He and Moffit were the class of the field last year; and now things may feel a tad personal between the two of them, at least in the eyes of Sauter. I can’t tell you that to be certain but if someone beat me for the championship and then stole my ride I’d be out for vengeance. I really like Damin’s pick in Hill. He’s paid his dues over the years and now he’s getting an opportunity in championship caliber race cars. I’ve liked his odds for this year ever since it was announced he’s joining Hattori Racing. My last pick, and the who I think will win the 2019 NGOTS championship is Gilliland. This guy is a natural born driver. He’s been winning in everything he’s raced for the last five years. If there weren’t age restrictions at certain tracks, Gilliland could have been racing NASCAR’s national series since he was 17. Though he wrecked out of last Saturday’s Lucas Oil 200 at DIS he was still the one driver to effectively push another car to the front of the pack. This will be his first full pull at the NGOTS season so I expect him to show the world everything he’s capable of.